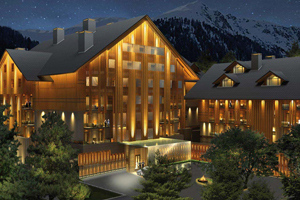 Asia-based hotel operator GHM is to open its first property in Switzerland, the Chedi Andermatt, in 2013. The luxury resort will offer 50 rooms, two gourmet restaurants, a lounge, wine and cigar room, an après ski bar and a spa. Leisure activities at the resort will include access to a skiing area, indoor and outdoor pools, a winter ice-rink and a boutique.